Introducing the strongest, fastest and most comfortable treatment to clinically improve cellulite, tighten loose skin, smooth fat deposits and boost your confidence. 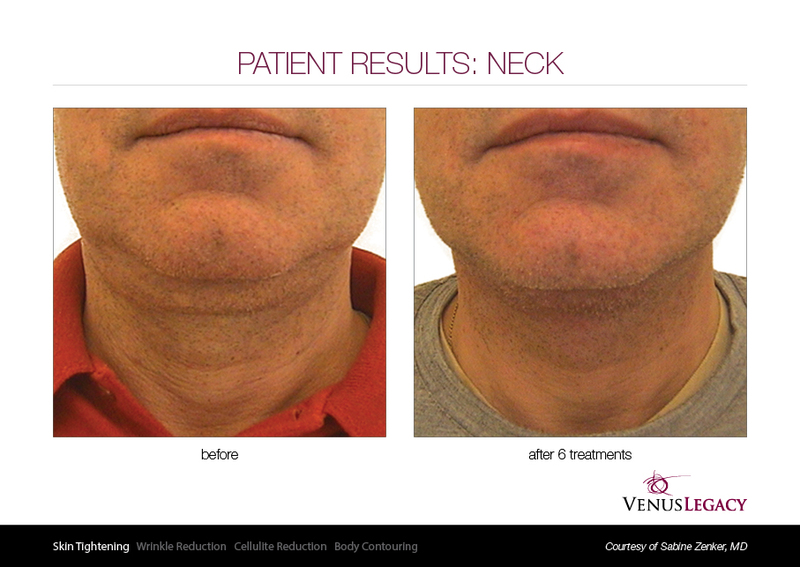 Venus Legacy™ has proven effectiveness producing clearly visible results that other therapies can not match. 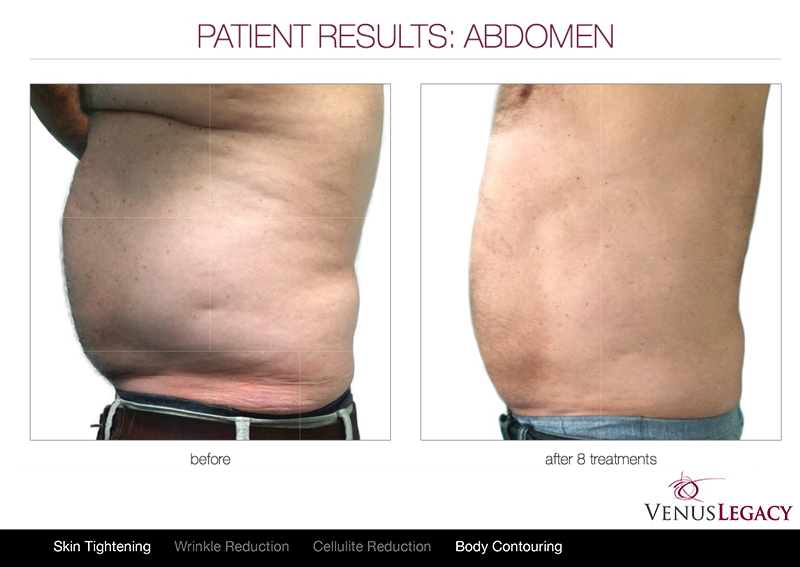 In a series of comfortable and enjoyable Venus Legacy™ treatments, you can have a smoother, slimmer figure and tighter, firmer skin on your body and face. As we get older, our bodies start to produce less collagen and store more fat — this is what eventually leads to wrinkles, sagging, cellulite and other signs of ageing. 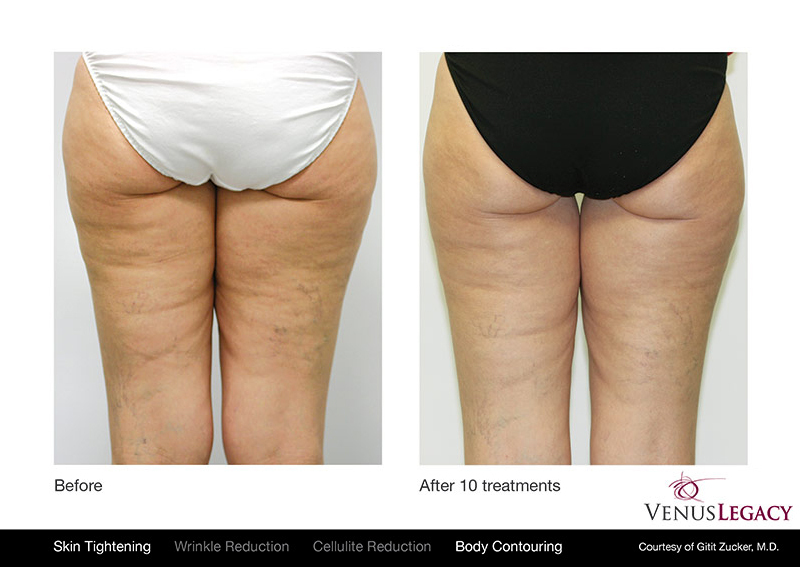 Venus Legacy™ uses patented technology to naturally boost collagen production and break down fat cells, to tighten sagging skin, smooth out cellulite, and make the body look slimmer and more toned. 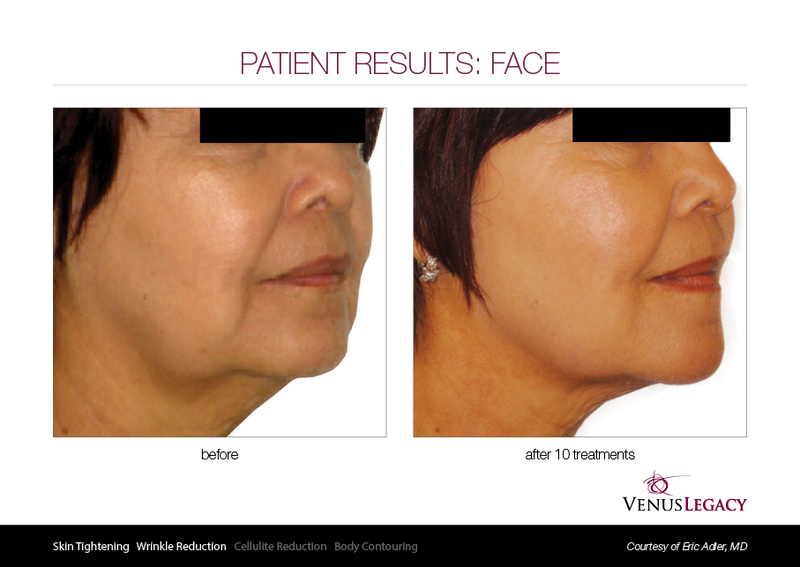 Venus Legacy™ will also help to reduce fine and lines and wrinkles, leaving you with more radiant, younger-looking skin. With devices in over 60 countries, and more than 3 million treatments performed annually, this innovative technology delivers safe, non-invasive treatment for the ultimate non-surgical body enhancement solution. Book your initial consultation with our specialists to see if you are a suitable candidate. 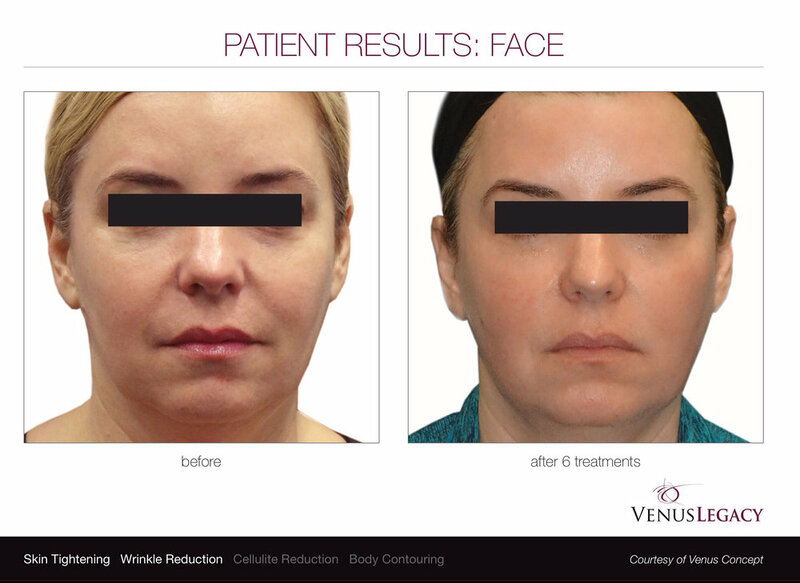 "I prepare at the beginning of the fashion season by having Venus Face Lift Facial, which zaps heat into your skin. You come out with plump skin because it helps to create collagen. Dude, it's insane!" Both worldwide clinical studies, and our own clinical experience through over 10,000 non-invasive treatments performed at our clinic, give us confidence and expert knowledge to treat these conditions for the appropriate candidates, and expect improvement of between 30% and 90% through a course of treatments. 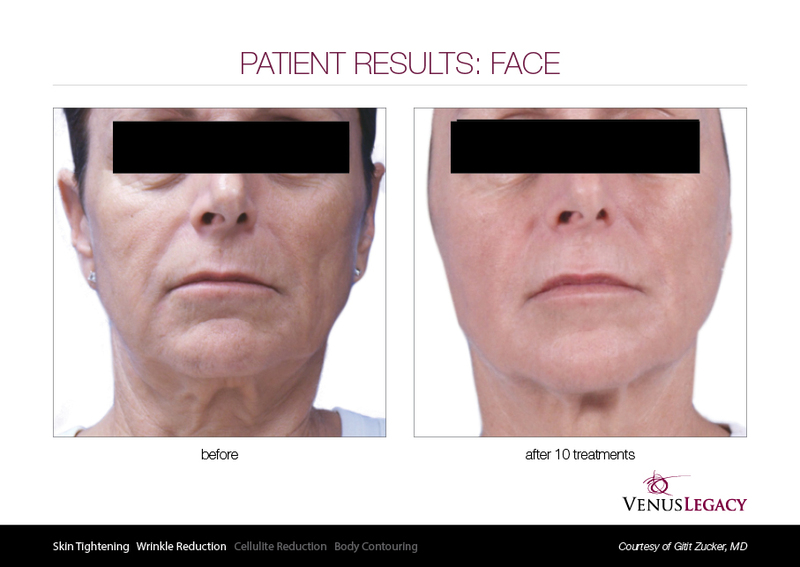 See smoother, radiant looking skin in the first 1-3 treatments. Sessions generally take just 15-45 minutes, once per week. Comfortable treatments with no downtime, so it’s enjoyable and easy to fit into your routine. Most patients typically see results after the third treatment, however, many have noted results even sooner. 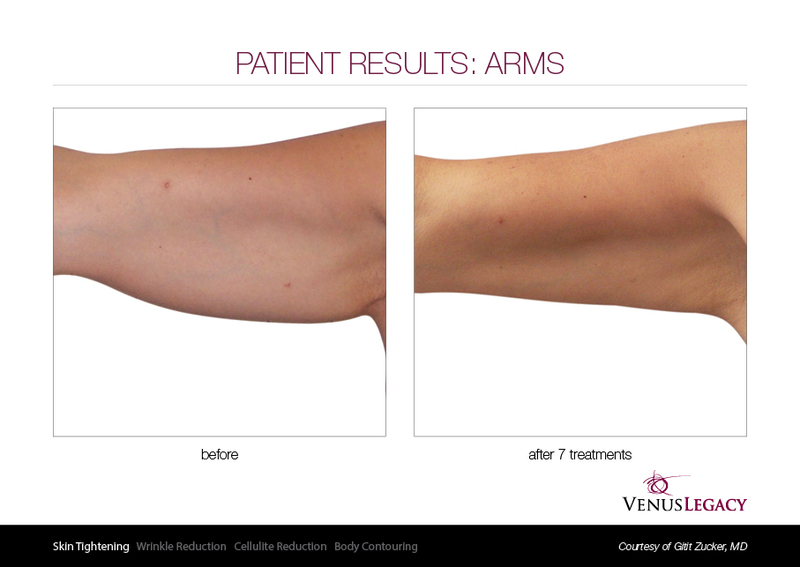 Venus Legacy™ has documented its results to last a minimum 18 months but will continue to last ongoing if one session per quarter is maintained after a series. 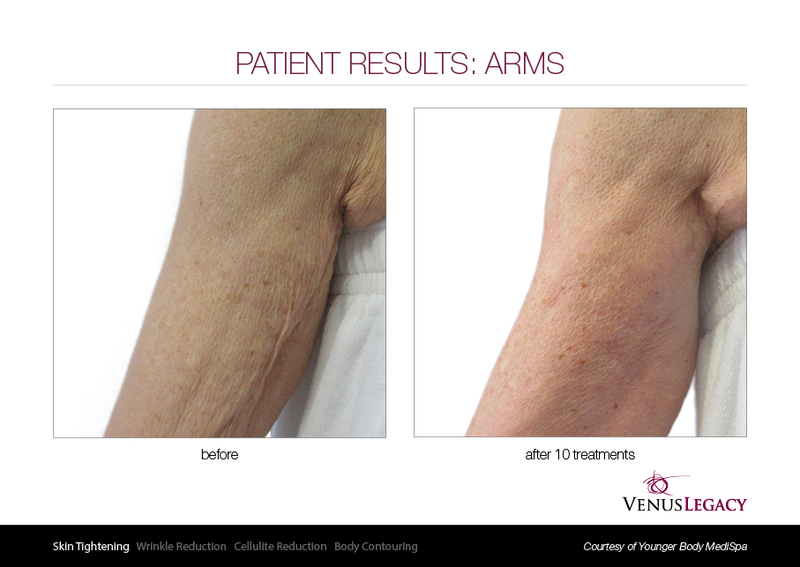 The secret behind Venus Legacy™ is (MP)² - the revolutionary and patented technology that combines Multi-Polar Radio Frequency and Pulsed Electro Magnetic Fields, which produce uniform heat under the skin’s surface. The radio frequency causes a thermal reaction in the tissue, which stimulates the body’s natural healing response. This works to increase collagen and elastin fibres, which results in tighter, smoother skin. This process also works to break down the volume of fat cells in the treatment area, which helps to give the body a slimmer, more contoured shape. To request a callback or ask a question about Venus Legacy, please use the form below. We'll have our team contact you quickly and confidentially.